I like to emphasize this. Since my previous article, I continuously want to give you a screenshot or more. These are the proof. I admit it. KDE has stealed my eyes at first glance. Yes absolutely my first distro was Ubuntu, so my first desktop was GNOME, but directly when I see KDE screenshot, I feel it is future. I like something futuristic-looked. My eyes feel like home when seeing something glossy and glowing. And I find them at KDE. At that time, I don’t know anything about Mac OS X. But when I know Mac OS with all user’s testimonials about, KDE more and more steal my interest. I repeat, I am not a Mac abuser. Also I am not Linux fanatic user. But I endeavour to be subjective here. I am sorry, Mac users. Beautiful iconset. You can see Oxygen Icon Theme and its derivatives in KDE. They are glossy, high resolution, and glowing. At the other hand, I feel missmatch with Tango iconset in GNOME since first time. But I prefer Human iconset than it because Human is more glossy. And the reality is Oxygen family icon theme is more glossy than them. I like artwork like that. Translucent menubar. At default as you can see. Waw, transparent menubar looked elegant. I like this. Glowing window. 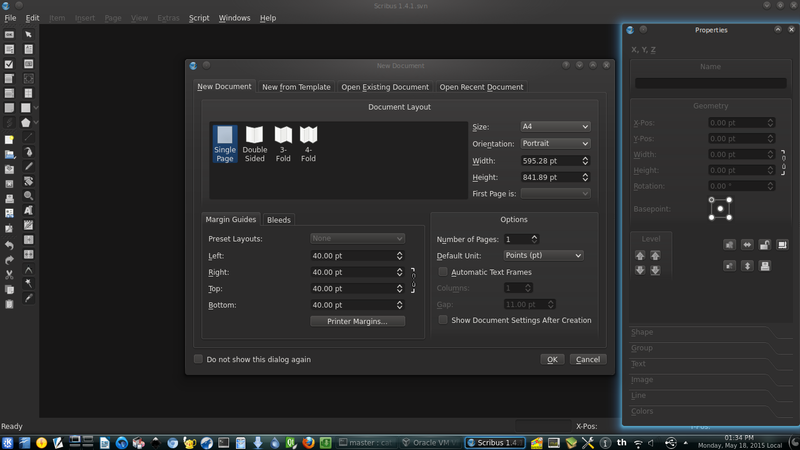 At default, glow color in KDE is blue. And it is an eyecandy for user like me. It looked futuristic. Windows User Experience. Actually I never think KDE is like Windows until I read some articles saying KDE acts like Windows desktop. Hm, I think again and so I say yes. Apparently, until now, I don’t conscious that KDE is pretty close to Windows. Position of the menu, bottom taskbar, the structure of menu, position of system tray, taskbar ability to be moved at right or left or top, position of close-min-max buttons, how to change wallpaper, and many more. But because my preference to the elegant interface, I override anything else. Now, really KDE has Windows-like environment. Configurable at high level. Almost all KDE configurations can be done with GUI. More goodness, all things done by 1 application only (KDE System Settings). It eases me. It is important for majority users who doesn’t care with Terminal, Dude. If you’re developer, please care with it. You will say something similar even you are not KDE user. Ow, I forgot, I say: I think GNOME or Ubuntu takes this concept from KDE on their System Settings. KDE is the first. Innovative desktop. Although I said KDE is similar with Windows desktop, but KDE has many different styles. Windows desktop doesn’t have workspaces/virtual desktops system like KDE has, Windows desktop doesn’t have 2 modes of menu, it doesn’t have widget system, and something else. Even if we do comparation between KDE and other Linux desktop environment, we find that KDE can do different settings at different workspaces/virtual desktop whereas GNOME doesn’t have. You should configure GNOME manually to get different wallpaper at different workspace, right? KDE has something called Plasma. It is a concept. Innovative concept where KDE developers have the Plasma for desktop and Plasma for Netbook/Tablet. And ahem, they also create KDE for mobile device, not only Netbook. They do conceptual working so they don’t fall to confuse interface in desktop with tablet. Somebody consciouses if this movement is innovative? I like something conceptual and consistent. Compiz. Please never forget this. The desktop effect. It makes KDE so wonderful. I am still having dream. Dream to introduce people in my country about Linux. And my opinion is Compiz Dream. Let they amazed with 3D cube shipped with KDE. Let they feel uniquely with Wobbly effect. KDE is the one desktop system that keep Compiz alive with. While another begin abandone it, KDE keep it alive with its KDE System Settings. Now I get what I can’t get in GNOME 3 or Unity only in KDE. 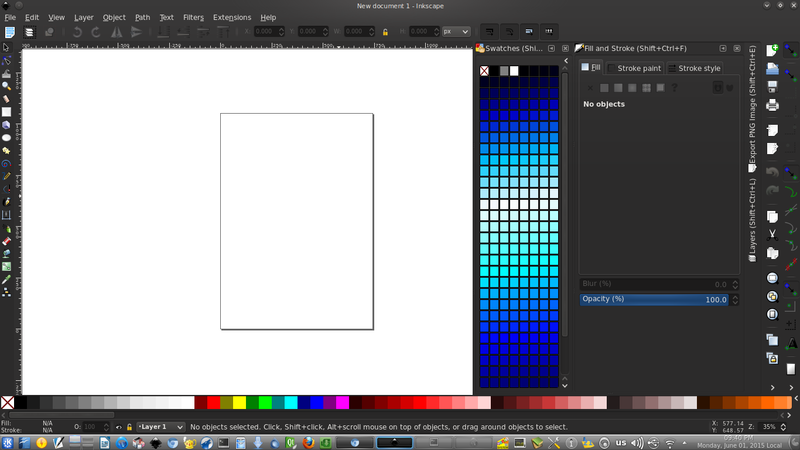 I feel soooo haaaappyyy when my 3D Cube with KDE logo on top show the way. I bind the cube with Win+A, cylinder desktop with Win+C, and the sphere desktop with Win+P. For just thinking, I never do it in Windows for 7 years. I find it firstly in Linux. Actually I prefer if Compiz acting in GNOME but now GNOME can’t use Compiz anymore. So, second alternative now KDE. And now KDE become prior! Surprise. Another possible reasons are surrounding us. It is not my primary reasons and you can find something similiars along many users. KDE is the first desktop environment. GNOME was created by de Icaza as a reaction to KDE-Qt Framework relation. XFCE seems created based on what GNOME was, same like LXDE. But KDE is the most mature desktop system. KDE doesn’t change its user experience for so long time. Since the first KDE when it was still named Kool Desktop Environment until now version 4.9, its default menu is still settled there, at bottom-left corner. But look at Unity and GNOME 3 now, where is your menu? Where is your taskbar? When developers change what people have established with, clashes happen. I know that developers wanna create innovation. They do creativity. But users have not ready to change their habit at desktop. Essentially, the user experience. It is so important apparently. Yes when the KDE developers wanna create something like Unity (for touch-screen device), they make a desktop separately with letting normal desktop alive. Like I’ve mentioned above. KDE hears the users. I confused by many users complaining Unity/GNOME developers for some features disappear in desktop, why do we should sad? At least they are still free, Dude. And if you want a developer team to hear you, look at KDE. Look at their Brainstorming Forum. For example, just this week KDE users can open menu with single Win/Super button like in Windows (*glad_expression_smiley*). This hack done by forum admin and directly welcomed by many users including me. You know, this hack sized veeeery smaaaaaal at 4 KB! But this hack made many hearts glad. At least, at best, they hear what they users want and need. They give options back to users. KDE hears users again. Oh, I ever sent my feature request for KDE file manager. I want it to be able sort files in order like in Windows Explorer. Do you know my mean? Right click Arrange > Sort by Type. Then, right click > Arrange > Show in Groups. This is a efficient way to manage files in Windows. But some years ago, a developer told me that the file manager have been able to do that but only in Icon View, not in any view. But now, my KDE 4.8 can do in Dolphin and Konqueror, such thing exactly. It is special for me! You know, I am so glad. You can access it via menu View > Sort by > Type. Then, View > Show in Groups. Widget system. Especially and intensely, notes widget. This yellow thing, helps me for remembering. I feel easy to remember what unimportant but difficult to remember what important. Forgetter, it is me. So I need simple way to remember what should I do. Since I have my own Linux machine (alhamdulillah…) with KDE, I use it. Now 3 of 4 my virtual desktops contain notes. And surprisingly, I can change the color of notes, I can give strikethrough to my texts, I can bold them, underline, and italicize, even make text align center. Don’t stop, there is clock widget for me shipped with KDE. Just take it from widgets house and place anywhere in the desktop. More, I can change the size of all widgets as I want. For you, more widgets available by accessing them in the rightest side of menubar. Remember it, different widgets for different workspaces. Ah, even I can rotate any widget 360 degrees! “Canggih benar”, Indonesian says. I am a user who doesn’t care too much about performance. Also I don’t care with bug and the security. Yes I like fast and faster application. But I often hear my heart sayings. I prefer using KDE although it is slow. Until now, the slowness of KDE hasn’t disturb my work yet. Even I think KDE is fast-enough. Faster than I should do bla-bla-bla with another desktop environment. I like beautiful desktop. Actually any user experience revolution never disturb me. All praises to Allah. When I change from Windows to Linux, it is easy for me to convert. Now, when GNOME 2 become monster (like what people feel), I still can use it well. Even I like the shell, the themes. This blog is the proof of saying. And my first Unity in 11.04 never make me disturbed. I never think Unity is horrible until I read some articles dislike Unity. Oooh, apparently another users feel disturbed. Then I begin to search reasons directly from users (find them at comments section) and today I make this writing 🙂 Apparently, as a conclusion of searching, I find Linux users want easy way too. Linux users are same with Windows users, they are searching for usability. They need what makes them easy. Not all users like changes. You will never confused if you meet me, why I use KDE 🙂 Although there are Unity and GNOME 3 even MATE on same Linux machine, I will often use KDE. KDE is very easy. KDE is advanced even futuristic desktop environment. Actually I wanna say Unity is more advanced but if users can’t feel the advancedness of a desktop system, who will say it is advanced? So KDE is more advanced for me. Advanced here means usable (highly usable), rich features, configurable, and jobs done. I like it. When more we will find free but advanced desktop system like this? I like it. Look at the screenshot below or visit http://forum.kde.org/viewforum.php?f=83. Wait. No such thing in Windows. No desktop environment concept there. But in Linux, we know KDE as first desktop environment. It is cool until now. And it has a forum for brainstorming. KDE users in whole world can submit ideas there. Wow. Ubuntu has same forum but that forum globally for Ubuntu as OS, not desktop environment. But KDE has. Cool. I visited it since a week ago and very interested. My comment: This idea for letting users submit idea is great. Forum concept is good for users dislike mailing list.